Successfully saved Chia Almond Low Carb Bread to your Calendar. You can also save the ingredients to your Grocery List. This chia almond bread recipe has a texture just like whole-wheat bread and can be baked as an easy-to-slice loaf or as rolls. 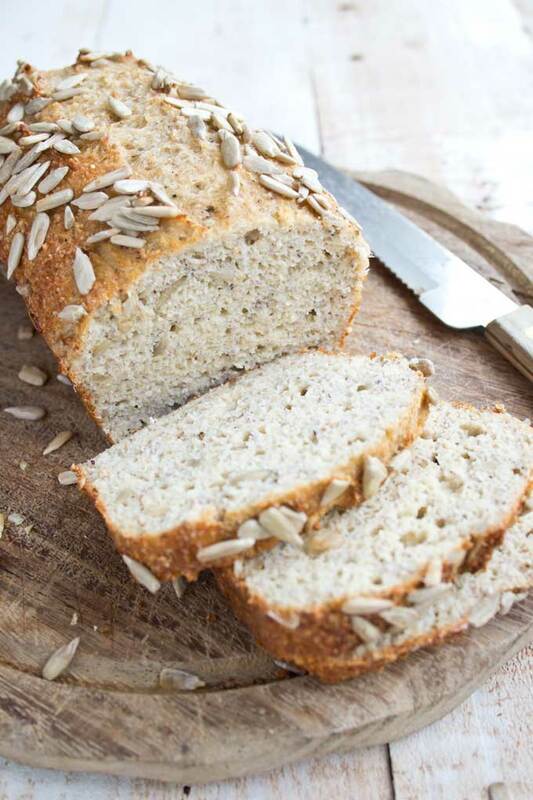 A perfect everyday low carb bread, this recipe is gluten free, Keto and delicious with sweet and savoury toppings. No eggy taste!